TLJ News: July 11-15, 2003. 7/15. Sen. Byron Dorgan (D-ND) introduced SJRes 17, a resolution disapproving of the Federal Communications Commission's (FCC) Report and Order and Notice of Proposed Rulemaking [257 pages in PDF] regarding its media ownership rules. This invokes the Congressional Review Act, which is codified at 5 U.S.C. § 801, which provides the Congress a limited power to veto regulations promulgated by executive branch agencies. The FCC announced the Report and Order on June 2, and released it on July 2. See also, stories titled "FCC Announces Revisions to Media Ownership Rules" and "Reaction to the FCC's Media Ownership Announcement" in TLJ Daily E-Mail Alert No. 672, June 3, 2003, and story titled "FCC Releases Media Ownership Order and NPRM" in TLJ Daily E-Mail Alert No. 692, July 7, 2003. Sen. Dorgan (at right) stated in a release that "We are moving to roll back one of the most complete cave-ins to corporate interests I've ever seen by what is supposed to be a federal regulatory agency ... The FCC's decision on June 2 advanced big corporate interests, and did so at the expense of the public interest. They chose concentration over competition. They chose few voices over many voices. In a democracy which relies on the free exchange of many voices, that was the wrong choice." Sen. Russ Feingold (D-WI), a cosponsor of the resolution, stated that "By invoking the Congressional Review Act, Congress can wipe out these new rules altogether, and the FCC will have to go back and redraft them. We plan to make it clear that the new draft should include some of the positive proposals contained in the recent media bill sponsored by Senator Ted Stevens that passed out of the Commerce Committee. The CRA specifically contemplated that agencies may have to redo regulations required by court or congressional mandate. If this disapproval resolution is passed by the House and the Senate, the preexisting rules will again be in effect until the FCC goes back to the drawing board and promulgates new regulations that are not substantially similar to the rules that Congress has disapproved." See, Congressional Record, July 16, 2003, at page S9490. On June 19, 2003, the Senate Commerce Committee amended and passed S 1046, the "Preservation of Localism, Program Diversity, and Competition in Television Broadcast Service Act of 2003". The bill, as amended, would roll back some of the changes to the FCC's media ownership rules. The bill is sponsored by Sen. Ted Stevens (R-AK). See, TLJ story titled "Senate Commerce Committee Passes Media Ownership Bill", June 19, 2003. The other cosponsors of the resolution are Sen. Trent Lott (R-MS), Sen. Ernest Hollings (D-SC), Sen. Susan Collins (R-ME), Sen. Olympia Snowe (R-ME), Sen. John Kerry (D-MA), Sen. Kay Hutchison (R-TX), and Sen. Ron Wyden (D-OR). 7/15. Federal Reserve Board Chairman Alan Greenspan appeared before the House Financial Services Committee. He testified and delivered the semiannual Monetary Policy Report to the Congress. The Report addresses, among other topics, the state of the tech sector. See also, prepared testimony. The Report states that "Investment in equipment and software (E&S) continues to languish. Firms reportedly remain reluctant to undertake new projects because of the uncertainty about the economic outlook and heightened risk aversion in the wake of last year’s corporate governance and accounting problems. ... In addition, technological advances continue to depress the relative price of computers at a time when stretched-out replacement cycles have apparently widened the gap between the latest technology and that embodied in many of the machines currently in use." The report adds that "Real outlays on high-tech equipment and software rose at an annual rate of about 11 percent in the first quarter, a bit faster than they had in 2002. Real purchases of computers and peripheral equipment remained on the moderate uptrend that has been evident since such spending bottomed out in 2001, and outlays on communications equipment picked up after an extended period of weakness." It also states that "Real E&S spending appears to have turned up in the second quarter, in part because of a step-up in the pace of real computer investment. However, incoming data suggest that outlays on communications equipment did not repeat their first-quarter spurt." The Report also addresses employment. It states that "Employment in the information sector, which includes telecommunications, publishing, and Internet-related services, continued to decrease, though a shade less rapidly than over the preceding two years." 7/15. The Senate Finance Committee held a hearing titled "An Examination of U.S. Tax Policy and Its Effect on the International Competitiveness of U.S.-Owned Foreign Operations." Sen. Charles Grassley (R-IA), the Chairman of the Committee, stated in his opening statement [PDF] that "International tax reform is long overdue. Our current system is based on a framework enacted during President Kennedy’s administration. In an era of expanding global markets, falling trade barriers, and technological innovations that melt away traditional notions of national borders, it is critical that our international tax laws keep pace with new business realities." Similarly, Sen. Max Baucus (D-MT), the ranking Democrat on the Committee, stated in his opening statement [PDF] that "Our international tax laws have not kept up with the increased globalization of the economy." Pamela Olson, Deputy Assistant Secretary at the Department of the Treasury, stated in her prepared testimony that "our tax code has not kept pace with the changes in our economy. From the vantage point of the increasingly global marketplace in which U.S. companies compete, our tax rules appear outmoded, at best, and punitive of U.S. economic interests, at worst. Most other developed countries of the world are concerned with setting a competitiveness policy that permits their workers to benefit from globalization." Olson (at right) also addressed the research and development tax credit. She stated that "The President's budget also proposes to make permanent the research and experimentation tax credit. Research is central to American businesses’ ability to compete successfully in the global economy. It results in new processes and innovative products that open up new markets and create job opportunities. American businesses can continue to compete only if they stay at the forefront of technological innovation. The research credit encourages technological developments that are an essential component of economic growth and a high standard of living in the future. A permanent research credit would remove the uncertainty about its availability in the future and thereby enable businesses to factor the credit into their decisions to invest in research projects." 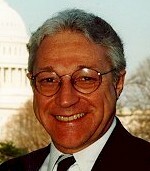 Dan Kostenbauder, VP for Transaction Taxes at Hewlett Packard, wrote in his prepared testimony [12 pages in PDF] that "Congress should enact forward looking reforms to the international tax provisions of the Internal Revenue Code that will enhance the ability of American companies to compete in global markets and emphasize the strengths of the U.S. economy." He recommended that Congress repeal the foreign base company rules. He elaborated that "The foreign base company sales income and foreign base company services income rules of Subpart F place major constraints on the ability of U.S.-based companies to operate in overseas markets -- a restriction that is not shared by our foreign competitors." He also recommended that Congress increase the foreign tax credit carry forward period from 5 to 10 years, and remove the 90% limitation on claiming foreign tax credits from the Alternative Minimum Tax. See also, prepared testimony in PDF of Davis Rosenbloom (Caplin & Drysdale), James Hines (University of Michigan Business School), Charles Hahn (Dow Chemical), Mike Gaffney (Merrill Lynch), and Stephen Shay (Ropes & Gray). 7/15. The House began consideration of HR 1950, the "Foreign Relations Authorization Act, Fiscal Years 2004 and 2005". The final vote may take place on Wednesday, July 16. During debate on Tuesday, July 15, the House rejected an amendment [3 pages PDF scan] offered by Rep. Ellen Tauscher (D-CA) that would have allowed exporters of commercial communications satellites to share marketing information with prospective customers in NATO countries, and in Japan, Australia, and New Zealand. The amendment would not have allowed the transfer of any sensitive encryption and/or source code data, detailed design data, engineering analysis, or manufacturing know-how. The amendment was narrowly defeated by a vote of 207-219. See, Roll Call No. 366. Voting correlated with party affiliation. Democrats tended to vote for the amendment, while Republicans tended to vote against it. The bill also includes other technology and communications related provisions. It includes a version of the "Global Internet Freedom Act", which had previously been introduced as a stand alone bill by Rep. Chris Cox (R-CA) and Rep. Tom Lantos (D-CA). It would authorize funding for a new Office of Global Internet Freedom, which would "develop and implement a comprehensive global strategy to combat state-sponsored and state-directed Internet jamming and persecution of those who use the Internet." This bill also authorizes an appropriation of $10 Million for combatting piracy of United States copyrighted materials in countries that are not members of the Organization for Economic Cooperation and Development (OECD). It also authorizes an appropriation of $1.3 Billion over two years for the Broadcasting Board of Governors. This would enable it to increase broadcasting by Voice of America in the Middle East. 7/15. The House is scheduled to take up HR 1950, the "Foreign Relations Authorization Act, Fiscal Years 2004 and 2005", on Tuesday, July 15. On July 14 the House Rules Committee adopted a structured rule for consideration of the bill. The bill contains several tech related provisions. The rule allows for consideration of an amendment [3 pages PDF scan] to be offered by Rep. Ellen Tauscher (D-CA) and Rep Doug Bereuter (R-NE) that would allow exporters of commercial communications satellites to share marketing information with prospective customers in NATO countries, and in Japan, Australia, and New Zealand. The amendment would not allow the transfer of any sensitive encryption and/or source code data, detailed design data, engineering analysis, or manufacturing know-how. The bill already includes a version of the Consider Global Internet Freedom Act, which had previously been introduced as a stand alone bill by Rep. Chris Cox (R-CA) and Rep. Tom Lantos (D-CA). It would authorize funding for a new Office of Global Internet Freedom, which would "develop and implement a comprehensive global strategy to combat state-sponsored and state-directed Internet jamming and persecution of those who use the Internet." See, story below. This bill also contains an authorization of appropriations of $10 Million for combatting piracy of United States copyrighted materials in countries that are not members of the Organization for Economic Cooperation and Development (OECD). See, story below. 7/15. The House is scheduled to take up HR 1950, the "Foreign Relations Authorization Act, Fiscal Years 2004 and 2005", on Tuesday, July 15. This bill contains the "Global Internet Freedom Act of 2003". This is a watered down version of HR 48, titled the Global Internet Freedom Act of 2003, which was introduced on January 7, 2003 by Rep. Chris Cox (R-CA), Rep. Tom Lantos (D-CA) and others. Sen. Sen. Jon Kyl (R-AZ) and Sen. Ron Wyden (D-OR) introduced S 1183, the companion bill in the Senate on June 4, 2003. Rep. Cox and Rep. Lantos introduced a similar bill in the 107th Congress, HR 5524, while Sen. Wyden and Sen. Kyl introduced a similar bill, S 3093, in the 107th Congress. The Foreign Relations Authorization Act includes, at Section 521-524, a modified version of the Global Internet Freedom Act. The version contained in HR 1950 states in its findings that "All people have the right to communicate freely with others, and to have unrestricted access to news and information, on the Internet", but that various governments, including the People's Republic of China, "are taking active measures to keep their citizens from freely accessing the Internet and obtaining international political, religious, and economic news and information." The bill creates an Office of Global Internet Freedom, which "shall develop and implement a comprehensive global strategy to combat state-sponsored and state-directed Internet jamming and persecution of those who use the Internet." However, the version contained in HR 1950 is a weakened version of HR 48 and S 1183. HR 1950 removes language specifying the nature of internet blocking, jamming and monitoring; it removes language identifying jamming activities by China; it removes from the purposes of the new office the task of developing technologies to counter the jamming of the internet; and, it reduces the authorization for appropriations from $50 Million per year to $8 Million per year. HR 48 provides that "Intergovernmental, nongovernmental, and media organizations have reported the widespread and increasing pattern by authoritarian governments to block, jam, and monitor Internet access and content, using technologies such as firewalls, filters, and `black boxes'. Such jamming and monitoring of individual activity on the Internet includes surveillance of e-mail messages, message boards, and the use of particular words; `stealth blocking' individuals from visiting websites; the development of `black lists' of users that seek to visit these websites; and the denial of access to the Internet." S 1183 contains similar language. However, this language is not in HR 1950. HR 48 and S 1183 also provide that "To date, the Voice of America and Radio Free Asia have committed a total of $1,000,000 for technology to counter Internet jamming by the People's Republic of China. This technology, which has been successful in attracting 100,000 electronic hits per day from the People's Republic of China, has been relied upon by Voice of America and Radio Free Asia to ensure access to their programming by citizens of the People's Republic of China, but United States Government financial support for the technology has lapsed. In most other countries there is no meaningful United States support for Internet freedom." This language is not in HR 1950. HR 1950 also deletes the key finding of the stand alone bills that "Unrestricted access to news and information on the Internet is a check on repressive rule by authoritarian regimes around the world." HR 1950 also deletes from HR 48 two of the enumerated purposes of the Office of Global Internet Freedom, "to authorize the commitment of a substantial portion of United States international broadcasting resources to the continued development and implementation of technologies to counter the jamming of the Internet", and "to utilize the expertise of the private sector in the development and implementation of such technologies, so that the many current technologies used commercially for securing business transactions and providing virtual meeting space can be used to promote democracy and freedom". See also, story titled "AEI Panel Advocates ``Freeing the Chinese Internet´´" in TLJ Daily E-Mail Alert No. 416, April 23, 2002, and TLJ story titled "Cox and Wyden Introduce Global Internet Freedom Act", October 10, 2002. This bill is separate and different from the Bush administration's Digital Freedom Initiative, which involves foreign aid for developing countries to develop information and communication technology, training by Peace Corps volunteers, and involvement by U.S. technology companies, such as Cisco and HP. See, TLJ story titled "Bush Administration Announces Digital Freedom Initiative", March 4, 2003. 7/15. The House is scheduled to take up HR 1950, the "Foreign Relations Authorization Act, Fiscal Years 2004 and 2005", on Tuesday, July 15. This bill contains an authorization of appropriations of $10 Million for combatting piracy of United States copyrighted materials in countries that are not members of the Organization for Economic Cooperation and Development (OECD). This funding would be used for: "(1) Provision of equipment and training for foreign law enforcement, including in the interpretation of intellectual property laws. (2) Training for judges and prosecutors, including in the interpretation of intellectual property laws. (3) Assistance in complying with obligations under appropriate international copyright and intellectual property treaties and agreements." This bill also provides that "the Department of State should make every effort to consult with, and provide appropriate assistance to, the World Intellectual Property Organization to promote the integration of non-OECD countries into the global intellectual property system." The Senate version of the bill is S 925, the State Department FY2004-2005 Authorizations bill. The Senate began consideration last week. The Senate adopted by voice vote an amendment providing for combatting piracy of U.S. copyrights. 7/15. Jerry Duvall was named Director of Media Economic Research in the Federal Communications Commission's (FCC) Media Bureau. He will lead a "new economic research initiative that will emphasize independent market analysis and forward thinking research on how media markets operate today and how they will operate in the future". Tracy Waldon was picked to replace Duvall as the Media Bureau's Chief Economist. See, FCC release [PDF]. 7/15. The Senate confirmed Lonny Suko to be a Judge of the U.S. District Court (WDWash) by a vote of 94-0. See, Roll Call No. 276. 7/15. The Department of Homeland Security (DHS) announced that on June 27, 2003 it entered into a five year, $90 Million agreement with Microsoft, under which Microsoft will be the primary technology provider to the DHS to supply software for about 140,000 desktops, as well as server software. The agreement provides the DHS with a standard desktop configuration that includes Windows XP Operating System, Microsoft Office Professional, and the Core Client Access licenses. This comes to about $642.86 per desktop. 7/15. President Bush submitted a message to the Congress supporting legislation to implement the U.S. Singapore Free Trade Agreement. He wrote that "This Agreement provides state-of-the-art intellectual property protection, including significant commitments on trade in digital products. It ensures that electronic commerce will stay free of duties and discriminatory rules. In addition, Singapore will accede to international treaties dealing with copyright and access issues for the Internet." He also wrote a similar message to the Congress regarding the U.S. Chile Free Trade Agreement. 7/15. The Federal Communications Commission (FCC) released its Eighth Report [147 pages in PDF] in its proceeding titled "Annual Report and Analysis of Competitive Market Conditions With Respect to Commercial Mobile Services". The FCC announced this report at its June 26 meeting. This is WT Docket No. 02-379. 7/15. The Federal Communications Commission (FCC) released its annual report [71 pages in PDF] titled "Reference Book of Rates, Price Indices, and Household Expenditures for Telephone Service". See also, FCC release [2 pages in PDF] summarizing the report. 7/15. Federal Communications Commission (FCC) Commissioner Jonathan Adelstein issued a release [PDF] in which he, again, criticized the FCC's Report and Order and Notice of Proposed Rulemaking [257 pages in PDF] regarding its media ownership rules. The FCC announced the Report and Order on June 2, and released it on July 2. In this release, Adelstein stated that "In an apparent blunder, the FCC's new rules count Minot, North Dakota, as if it had more TV stations than Detroit, Michigan. Many small markets are now considered among the largest in the country. I’m asking my colleagues to reconsider the rule changes so we can fix this anomaly before new mergers take place that let a single owner dominate the media in many smaller towns." See also, stories titled "FCC Announces Revisions to Media Ownership Rules" and "Reaction to the FCC's Media Ownership Announcement" in TLJ Daily E-Mail Alert No. 672, June 3, 2003, and story titled "FCC Releases Media Ownership Order and NPRM" in TLJ Daily E-Mail Alert No. 692, July 7, 2003. 7/15. Erkki Liikanen, the Member of the European Commission responsible for Enterprise and the Information Society, gave a speech titled "Getting Ready to Implement New EU Electronic Communications Law" in Brussels, Belgium. 7/15. The Securities and Exchange Commission (SEC) filed a complaint in U.S. District Court (DNev) against Investment Technology, Inc. and others alleging an fraudulent scheme involving the company's stock and its purported online gambling casino. The complaint names Investment Technology, Thomas D. Vidmar (its Chairman and CEO), Ulysses "Thomas" Ware (securities counsel), the law firm of Rosenfeld Goldman & Ware, and Small Cap Research Group, Inc. and Centennial Advisors (both of which touted the stock in "analyst reports"). See, SEC release. 7/14. Rep. Billy Tauzin (R-LA), Chairman of the House Commerce Committee, and Rep. James Greenwood (R-PA) wrote a letter to Sam Palmisano, CEO of IBM, asking for information regarding IBM's involvement in the Federal Communications Commission's (FCC) e-rate program. The Committee asks, for example, for information about whether IBM has ever offered financial assistance to any e-rate applicant to help it meet its required share of e-rate-funded costs. The two also wrote a similar letter to Paul Karas, President of Alpha Communications. Both letters state that the Committee "is investigating the potential for waste, fraud, and abuse in the E-rate program -- the mechanism of the Universal Services Fund (USF) that subsidizes the deployment of telecommunications services to schools and public libraries." The letters further state that "In the course of our work, we have been examining documents produced by both the FCC and the Universal Service Administrative Company (USAC), which administers the E-rate program for the FCC. We also have received preliminary information from certain vendors and applicants participating in the program, and have conducted interviews with relevant individuals. Based on our review to date, we have identified your company as having significant involvement in the E-rate program, and thus are writing to you today to seek additional information to assist our review." Both letters ask the two companies to provide the Committee with information -- both records and answers to questions. The FCC's Universal Service Administrative Company (USAC) administers the schools and libraries program, which is also known as the e-rate. The program was created by the FCC after enactment of the Telecom Act of 1996 under the rubric of Section 254, which codifies the FCC's universal service programs. Under the e-rate program, phone companies are taxed, to enable the USAC to provides subsidies to schools and libraries for telecommunications services, internet access, and internal wiring. The e-rate program provides subsidies of up to 90%. The program is plagued by fraud and abuse. The letter to IBM asks, "Has any employee of your company ever received any request from a potential E-rate applicant, or ever made any offer, promise, commitment or agreement, whether written or oral, to or with any potential E-rate applicant, under which your company would provide, either directly or indirectly through any third party, financial assistance to such applicant to help it meet its required share of E-rate-funded costs, including but not limited to any request or offer of free or reduced cost services or equipment or assistance? If so, please describe such requests or commitments." It also requests that IBM produce "All records relating to any request, offer, promise, commitment or agreement, whether written or oral, between you and any potential E-rate applicant, under which your company would provide, either directly or indirectly through any third party, financial assistance to such applicant to help it meet its required share of E-rate-funded costs, including but not limited to any request or offer of free or reduced cost services or equipment or assistance." Rep. Tauzin is the Chairman of the Committee. Rep. Greenwood (at right) is the Chairman of the Oversight and Investigations Subcommittee. On April 29, 2003, the Committee subpoenaed Cheryl Parrino, the CEO of the USAC, to obtain unredacted records. See, story titled "House Commerce Committee Subpoenas USAC for E-Rate Records" in TLJ Daily E-Mail Alert No. 652, April 30, 2003. See also, stories titled "FCC Inspector General Reports on E-Rate Fraud" in TLJ Daily E-Mail Alert No. 449, June 12, 2002; "Reps. Tauzin & Greenwood Write Powell Re Waste Fraud & Abuse In E-Rate Program" in TLJ Daily E-Mail Alert No. 624, March 17, 2003; "FCC Announces Order and NPRM Regarding E-Rate Subsidies" in TLJ Daily E-Mail Alert No. 648, April 24, 2003. 7/14. The U.S. Court of Appeals (8thCir) issued its opinion [5 pages in PDF] in PMA v. KPMG, a case involving application of the Securities Litigation Uniform Standards Act of 1998 (SLUSA) to a class action lawsuit alleging state causes of action. Professional Management Associates, Inc. Employees' Profit Sharing Plan (PMA) held stock in Green Tree Financial Corporation. KPMG is an independent auditing and accounting firm that reviewed Green Tree's financial statements. PMA filed a class action complaint in state court in Minnesota against KPMG alleging state law claims for violations of the Minnesota Consumer Fraud Act, for aiding and abetting a breach of fiduciary duty of disclosure under Delaware law, and for violations of the common law doctrines of negligence and negligent misrepresentation. PMA alleged that KPMG made or assisted in making misrepresentations or omissions of material fact about Green Tree. KPMG removed the action to the U.S. District Court (DMinn). The District Court held that PMA's complaint implicitly alleged misrepresentations and omissions in connection with the purchase of a covered security, and dismissed the complaint, pursuant to the SLUSA, 15 U.S.C. §§ 77p(b)-(c), 78bb(f)(1)-(2), which provides for removal to federal court and immediate dismissal of certain class actions based on state law alleging an untrue statement or omission of a material fact made in connection with the purchase or sale of a covered security. 7/14. Yahoo and Overture announced that "they have signed a definitive agreement under which Yahoo! will acquire Overture. Under the terms of the agreement, each outstanding common share of Overture will receive 0.6108 shares of Yahoo! common stock and $4.75 in cash, reflecting an aggregate purchase price of approximately $1.63 billion, or $1.52 billion net of Overture's March 31, 2003 cash balance, less the amounts earmarked for their two recently closed transactions." See, Yahoo release and similar Overture release. Overture provides commercial search services on the internet. Terry Semel, Ch/CEO of Yahoo stated in the release that "Together, the two companies will be able to provide the most compelling and diversified suite of integrated marketing solutions around the globe, including branding, paid placement, graphical ads, text links, multimedia, and contextual advertising." This transaction requires approval by Overtures shareholders. It also requires regulatory approval. 7/14. PeopleSoft and J.D. Edwards announced that "the companies have received early termination of the required waiting period under the Hart-Scott-Rodino Antitrust Improvements Act of 1976". See, PeopleSoft release and J.D.Edwards release. The two companies added that "PeopleSoft's exchange offer for J.D. Edwards will expire at 12:00 midnight EDT, Thursday, July 17, 2003 at which time PeopleSoft expects to complete the acquisition." On June 2, J.D. Edwards and PeopleSoft announced a definitive agreement under which PeopleSoft will acquire J.D. Edwards. See, PeopleSoft release [4 pages in PDF] and J.D. Edwards release. On June 6, Oracle made a hostile bid for PeopleSoft. Oracle stated in a release [PDF] that it will "commence a cash tender offer to purchase all of the outstanding shares of PeopleSoft ... for $16 per share, or approximately $5.1 billion." On June 19, Oracle announced that it "will increase its cash tender offer to purchase all of the outstanding shares of PeopleSoft, Inc. to $19.50 per share". See also, stories titled "Oracle Makes Hostile Bid for PeopleSoft" in TLJ Daily E-Mail Alert No. 676, June 9, 2003, and "J.D. Edwards Files Complaint Against Oracle" in TLJ Daily E-Mail Alert No. 680, June 13, 2003. 7/14. The House Government Reform Committee's Subcommittee on Technology, Information Policy, Intergovernmental Relations and the Census announced that Craig Conway, P/CEO of PeopleSoft, and Kevin Fitzgerald, SVP of Oracle, will both testify before the Subcommittee on Tuesday, July 15. However, the hearing is not about mergers and hostile bids. Rather, the two are scheduled to testify at the Subcommittee's hearing titled "Federal Information Systems Integration and Consolidation: Maximizing Technology Investment Across Agency Boundaries". The Subcommittee announced that the hearing will focus on "the progress being made by the federal government to modernize agency information technology management around so-called common ``lines of business´´ that cross agency boundaries." The hearing will be held at 10:00 AM in Room 2154 of the Rayburn Building. Rep. Adam Putnam (R-FL) is the Chairman of the Subcommittee. 7/14. The National Telecommunications and Information Administration (NTIA) announced that it will hold a public briefing at 3:00 PM on July 22, 2003 on its creation of a second level domain within the .us country code domain that is restricted to material that is not harmful to minors. The Dot Kids Implementation and Efficiency Act of 2002, HR 3833 in the 107th Congress, Public Law No. 107-317, requires the NTIA to create this second level domain. The briefing will be held in the House Commerce Committee's main hearing room, Room 2123 of the Rayburn Building. Rep. John Shimkus (R-IL), the sponsor of the bill, and Rep. Ed Markey (D-MA), lead cosponsor of the bill, are both members of the Committee. This briefing will provide information about the domain, instructions about registering a kids.us address, content guidelines and restrictions, and an overview of the content review process. See, NTIA notice. President Bush signed the bill on December 4, 2002. Rep. Shimkus and Rep. Markey first introduced a bill, HR 2417, that would have required a "top-level, International domain", but later settled for a second level domain within the .us country code domain. See, stories titled "Reps. Shimkus and Markey Seek a .kids Domain" in TLJ Daily E-Mail Alert No. 234, July 25, 2001; "House Subcommittee Holds Hearing on Kids Domain" in TLJ Daily E-Mail Alert No. 300, November 2, 2001; "House Passes Dot Kids Domain Bill" in TLJ Daily E-Mail Alert No. 436, May 22, 2002; and "Bush Signs Dot Kids Bill" in TLJ Daily E-Mail Alert No. 561, December 5, 2002. 7/14. The House is scheduled to take up HR 2673, the "Agriculture, Rural Development, Food and Drug Administration, and Related Agencies Appropriations Bill, 2004" on Monday, July 14. See, Republican Whip Notice. This bill includes funding for, among other things, rural telecommunications, distance learning and telemedicine, and broadband telecommunication programs. "For the principal amount of direct distance learning and telemedicine loans, $300,000,000; and for the principal amount of broadband telecommunication loans, $336,000,000." "For grants for telemedicine and distance learning services in rural areas, as authorized by 7 U.S.C. 950aaa et seq., $25,000,000, to remain available until expended." "For the cost of direct and guaranteed broadband loans, as authorized by 7 U.S.C. 901, et seq., $9,116,000 ..."
"In addition, $8,000,000, to remain available until expended, for a grant program to finance broadband transmission in areas that meet the definition of `rural area' used for the Broadband Loan Program authorized by 7 U.S.C. 901." The House Appropriations Committee report, House Rpt.108-193, states that "For the Distance Learning, Telemedicine, and Broadband Program, the Committee provides an appropriation of $42,116,000, a decrease of $14,455,000 below the amount available for fiscal year 2003 and an increase of $6,000,000 above the budget request, including $25,000,000 for Distance Learning and Telemedicine Grants, $9,116,000 for Broadband Telecommunications loan subsidy, and $8,000,000 for Broadband Grants." On June 25, 2003, the House Agriculture Committee held a hearing on the U.S. Department of Agriculture's (USDA) Rural Utility Service's (RUS) distance learning and telemedicine programs. See, prepared testimony [in PDF] of Tom Dorr (Under Secretary, Rural Development, Department of Agriculture), Karen Rheuban (University of Virginia Health System), Howard Chapman (Saltville Medical Center), George O’Brien (Copenhagen Central School District), Patti Patterson (Texas Tech University Health Science Center), and Carl Taylor (University of South Alabama). Dorr wrote in his prepared testimony that "Telemedicine projects are providing new and improved health care services beginning with patient diagnosis, through surgical procedures, and post-operative treatment. New advancements are being made in the telepharmaceutical and telepsychiatry arenas providing health care options never before available to many medically under-served, remote, rural areas. Distance learning projects continue to provide funding for computers and Internet connection in schools and libraries." He continued that "Distance learning and telemedicine services that can be deployed over broadband networks are literally changing the landscape of rural America. They enable rural students to take virtual field trips to places all over the world, from historic Williamsburg to the Louvre in Paris. They provide life saving medical treatment over telemedicine networks – allowing for specialists to guide surgeries hundreds of miles away! And there are real economic benefits as well. Building on advanced telecommunications platforms, distance learning and telemedicine technologies are not only improving the quality of life in rural areas, but they are also making direct contributions to the economies in rural areas by introducing the skills needed for a high-tech workforce and promoting sound health care practices, including preventative care initiatives." 7/14. Ginger Clark, Confidential Assistant to Federal Communications Commission (FCC) Commissioner Kevin Martin, has "decided to pursue other opportunities" at the FCC. See, FCC release [PDF]. 7/14. President Bush nominated Margaret Rodgers to be a Judge of the U.S. District Court for the Northern District of Florida. See, White House release. 7/14. The Senate confirmed Samuel Der-Yeghiayan to be a Judge of the U.S. District Court (NDIll) by a vote of 89-0. See, Roll Call No. 275. 7/14. The Senate confirmed Robert Brack to be a Judge of the U.S. District Court (NM). 7/14. The House passed HR 2673, the "Agriculture, Rural Development, Food and Drug Administration, and Related Agencies Appropriations Bill, 2004" by a vote of 347-64. See, Roll Call No. 358. This bill includes funding for, among other things, rural telecommunications, distance learning and telemedicine, and broadband telecommunication programs. See, story titled "House to Take Up Ag Approps Bill, With Distance Learning, Telemedicine & Broadband Provisions" in TLJ Daily E-Mail Alert No. 697, July 14, 2003. 7/14. The U.S. Patent and Trademark Office (USPTO) published a notice in the Federal Register that describes and lists rule changes pertaining USPTO fees. See, Federal Register, July 14, 2003, Vol. 68, No. 134, at Pages 41532 - 41535. These changes take effect on October 1, 2003. However, legislation is pending in the Congress that would supercede this rule. On July 9, the House Judiciary Committee approved HR 1561, the "United States Patent and Trademark Fee Modernization Act of 2003". See, story titled "House Judiciary Committee Approves USPTO Fee Bill" in TLJ Daily E-Mail Alert No. 695, July 10, 2003. 7/14. The Securities and Exchange Commission (SEC) filed a civil complaint in U.S. District Court (DC) against Carnegie International Corporation and several of its officers alleging violation of federal securities laws in connection with improperly reporting revenue and income on three transactions in filings with the SEC. Carnegie is a former publicly traded holding company that owned and operated a credit card services company, a telephone entertainment company, and a voice recognition technology company. The individual defendants are David Gable (Chairman), Lowell Farkas (P/CEO), David Pearl (Secretary), Richard J. Greene (former CFO), Scott Caruthers (former director), and Dashielle Lashra Caruthers. The complaint alleges violation of Section 17(a) of the Securities Act of 1933, Section 10(b) of the Securities Exchange Act of 1934, and Rule 10b-5 thereunder, and violation of the reporting, books and records, and internal controls provisions of Exchange Act Sections 12(g), 13(a), 13(b)(2)(A), and 13(b)(2)(B), and Exchange Act Rules 12b-20 and 13a-1. The SEC also stated in a release that "Without admitting or denying the allegations in the Commission's complaint, all of the defendants except Gable have agreed to settle the Commission's charges by consenting to the entry of final judgments that, if approved by the Court, would permanently enjoin them from further violations of the securities laws. In addition, Farkas and Pearl have consented to be permanently barred from serving as officers or directors of any public company." 7/11. The General Services Administration's (GSA) Office of Electronic Government and Technology published a notice in the Federal Register regarding electronic authentication. The notice attaches, and requests comments on, the draft policy titled "Draft E -- E-Authentication for Federal Agencies". authentication (or e-authentication) in electronic transactions. ... This memorandum establishes a four level approach for authentication to ensure trustworthy electronic transactions and to fulfill Federal privacy and information security requirements. These four levels reflect an increasing degree of confidence in the identity presented and represent a range of authentication technologies." The draft was prepared with support from the Office of Management and Budget (OMB). Comments are due by August 11, 2003. See, Federal Register, July 11, 2003, Vol. 68, No. 133, at Pages 41370 - 41374. 7/11. The U.S. Court of Appeals (DCCir) issued its opinion [17 pages in PDF] in New England Public Communications Council v. FCC, upholding one of the Federal Communications Commission's (FCC) payphone orders. 47 U.S.C. § 276(a) prohibits "any Bell operating company that provides payphone service" from subsidizing or discriminating in favor of its own payphone service. It also authorizes the FCC to promulgate implementing regulations. Pursuant to this authority, the FCC issued order requiring the Bell operating companies (BOCs) to price the service lines used by payphone service providers at forward looking cost based rates. One group of petitioners, composed of BOCs, challenged the FCC's authority to require a specific rate setting methodology for intrastate payphone lines. The other group of petitioners, composed of payphone service providers that use non-BOC local exchange carriers' payphone lines, challenged the FCC's decision to limit the forward looking cost based methodology requirement to BOCs. The Appeals Court denied all petitions, and affirmed the order of the FCC. 7/11. The House Commerce Committee and the House Judiciary Committee held hearings on July 9 and July 8, respectively, on legislation pertaining to spam e-mail. While these hearings focused on HR 2214 and HR 2515, there are other spam related bills pending in the Congress. The following is a summary. HR 2214 (Burr). HR 2214 was introduced on May 22, 2003, by Rep. Richard Burr (R-NC). It is titled the "Reduction in Distribution of Spam Act of 2003" or "RID Spam Act". It now has 27 cosponsors, including many leaders of the House Commerce Committee (HCC) and the House Judiciary Committee (HJC). It cosponsors include Rep. James Sensenbrenner (R-WI), who is Chairman of the HJC, Rep. Billy Tauzin (R-LA), who is Chairman of the HCC, Rep. Fred Upton (R-MI), who is Chairman of the HCC's Telecommunications and Internet Subcommittee, Rep. Cliff Stearns (R-FL), who is Chairman of the HCC's Consumer Protection Subcommittee. Rep. Bob Goodlatte (R-VA), who is active on a wide range of technology related issues, is also a cosponsor. Most of its cosponsors are Republicans. This bill would require that commercial e-mail messages contain the identity of the sender and an opt out mechanism. It would provide ISPs, states, and the FTC with enforcement authority, but only in federal court. The bill creates no private right of action, and prohibits class actions. The bill would also criminalize sending commercial e-mail with a false identity of the sender, certain sexually oriented messages, and certain automated e-mail address harvesting practices. The bill also contains a limited preemption clause. See, story titled "Another Spam Bill Introduced in House" in TLJ Daily E-Mail Alert No. 671, June 2, 2003. HR 2515 (Wilson). HR 2515 was introduced on June 18, 2003 by Rep. Heather Wilson (R-NM), who also introduced related bills in the 106th and 107th Congresses. It is titled the "Anti-Spam Act of 2003". It has 53 cosponsors. It has bipartisan support. While HR 2214 has the support of most of the Republican leadership of the HCC and the HJC, HR 2515 has the support of most of the Democratic leadership on the two Committees, including Rep. John Conyers (D-MI), the ranking Democrat on the HJC, Rep. John Dingell (D-MI), the ranking Democrat on the HCC, and Rep. Ed Markey (D-MA), the ranking Democrat on the HCC's Telecommunications and Internet Subcommittee. It requires senders of commercial e-mail to provide a valid return e-mail address, and a valid street address, and provide recipients an opt out opportunity. It prohibits sending commercial e-mail with false or misleading header or subject line information. It prohibits sending certain commercial e-mail to recipients based on use of electronically harvested e-mail lists. It similarly prohibits dictionary attacks. It requires warning labels on sexually explicit material. It then creates a private right of action for ISPs. It gives civil enforcement authority to the FTC and the states. The bill also creates criminal penalties for falsifying the sender's identity, failing to label sezually explicit material, and sending e-mail based on electronically harvested e-mail lists. HR 1933 (Lofgren). HR 1933 was introduced by Rep. Zoe Lofgren (D-CA) on May 1, 2003. It is titled the "Restrict and Eliminate the Delivery of Unsolicited Commercial Electronic Mail or Spam Act of 2003" or the "REDUCE Spam Act". It has 26 cosponsors; all are Democrats. This bill criminalizes intentionally sending unsolicited commercial electronic mail messages with false header information. It also requires labeling of commercial and adult unsolicited e-mail. It requires senders of unsolicited commercial e-mail to provide a valid return address, and provide recipients an opt out opportunity. It give civil enforcement authority to the FTC. It also creates a private right of action for recipients and ISPs. HR 122 (Holt). HR 122 was introduced on January 7, 2003 by Rep. Rush Holt (D-NJ). It is titled the "Wireless Telephone Spam Protection Act". It has 16 cosponsors, most of which are Democrats. It is a narrowly targeted bill that deals with spam in wireless communications. S 877 (Burns). S 877 was introduced on April 10, 2003 by Sen. Conrad Burns (R-MT). It is titled the "Can Spam Act". Sen. Burns and Sen. Ron Wyden (D-OR) have long been trying to pass spam related legislation. The bill has 17 cosponsors from both parties. The bill, as introduced, would create civil bans on sending unsolicited commercial e-mail (UCE) with false header information, or with intentionally false or misleading content. It would also require UCE senders to include a return e-mail address, and ban sending further UCE to persons who have objected to receiving more UCE. It would also ban the practice of sending UCE to lists of addresses that have been harvested from websites by automated means. The bill would give enforcement authority to the Federal Trade Commission (FTC), states, and internet access providers, but not individuals. The bill would preempt state UCE laws, with exceptions. See, story titled "Senators Burns and Wyden Re-Introduce Can Spam Bill" in TLJ Daily E-Mail Alert No. 643, Monday, April 14. On June 19, 2003, the Senate Commerce Committee approved an amendment in the nature of a substitute [36 pages in PDF] that makes numerous changes. It increases penalties for certain practices of spammers, including dictionary attacks, the establishment of numerous e-mail accounts to make spam more difficult to track and block, and the hijacking of other computers or computer networks to send or relay spam. It also increases damages available in suits brought by states and internet service providers. The amendment provides that when a recipient asks to be removed from a sender’s mailing list, the sender also may not provide that recipient's e-mail address to a third party. The amendment also expands the ban on sending unsolicited commercial e-mail after a recipient has opted out to include both solicited and unsolicited marketing e-mail. The amendment also modifies the federal preemption language to allow states to continue to impose and enforce laws against falsity and deception in spam. In addition, Sen. Wyden stated at the Senate Commerce Committee mark up that the bill's criminal provisions would be strengthened before passage by the full Senate. See, story titled "Senate Commerce Committee Passes Spam Bill" in TLJ Daily E-Mail Alert No. 685, June 20, 2003. S 1293 (Hatch). S 1293 was introduced on June 19, 2003 by Sen. Orrin Hatch (R-UT). It is titled the "Criminal Spam Act of 2003". It is cosponsored by 11 Senators, including Sen. Patrick Leahy (D-VT). This bill only contains criminal provisions. The bill would criminalize accessing a protected computer to send spam ("multiple commercial electronic mail messages"), using a protected computer to relay or retransmit spam with intent to deceive either recipients or ISPs, falsifying header information in spam, and registering multiple e-mail accounts or domain names to send spam. See, story titled "Senators Hatch & Leahy Introduce Spam Crime Bill" in TLJ Daily E-Mail Alert No. 686, June 24, 2003. S 1231 (Schumer). S 1231 was introduced on June 11, 2003 by Sen. Charles Schumer (D-NY). It is titled the "Spam Act". It has only one cosponsor, Sen. Lindsey Graham (R-SC). The bill would create a national no spam registry to be maintained by the Federal Trade Commission (FTC). The bill also requires certain UCE to be labeled, but provides an exception for e-mail sent by members of self-regulatory organizations that have been approved by the FTC. The bill also requires a return address and opt out opportunity. The bill also prohibits false information, including in headers or subject lines. The bill also bans the assembling of e-mail lists through automated address harvesting. The bill gives enforcement authority to a wide range of governmental entities, including the FTC, and states. It also creates a private cause of action for individuals, but not as a class action. See, story titled "Sen. Schumer Introduces Spam Bill" in TLJ Daily E-Mail Alert No. 682, June 17, 2003. S 1327 (Corzine). S 1327 was introduced on June 25, 2003 by Sen. Jon Corzine (D-NJ). It is titled the "Reduce Spam Act". It is the Senate companion bill to HR 1933, sponsored by Rep. Lofgren. S 1327 has no cosponsors. S 563 (Dayton). S 563 was introduced on March 6, 2003 by Sen. Mark Dayton (D-MN). It is titled the "Computer Owners' Bill of Rights". See, story titled "Sen. Dayton Introduces Bill to Regulate Computer Technical Support and Spam" in TLJ Daily E-Mail Alert No. 622, Thursday, March 13. 7/11. President Bush announced his intent to nominate former Representative Connie Morella (R-MD) to be Ambassador to the Organization for Economic Cooperation and Development (OECD). She was a member of the House for 16 years, before losing in the 2002 election. She was also a member of the House Science Committee. See, White House release. 7/11. Reuters filed a complaint in U.S. District Court (SDNY) against Bloomberg alleging patent infringement. See, Bloomberg release. Go to News from July 6-10, 2003.